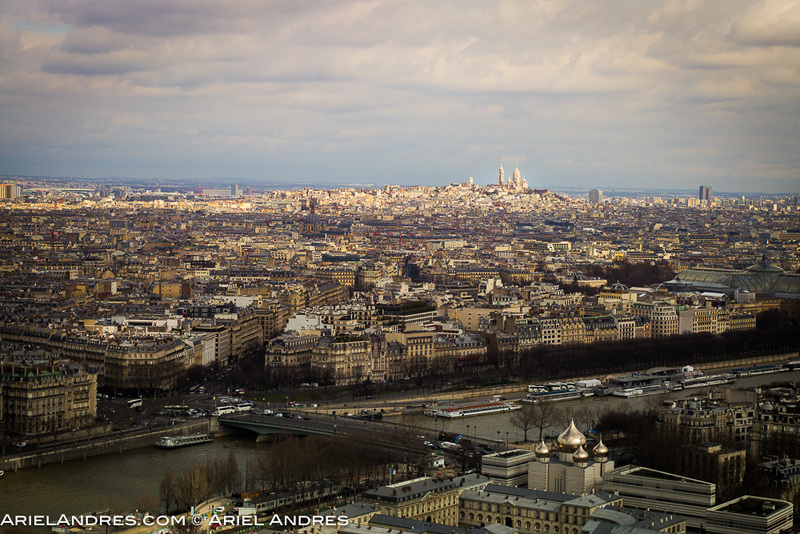 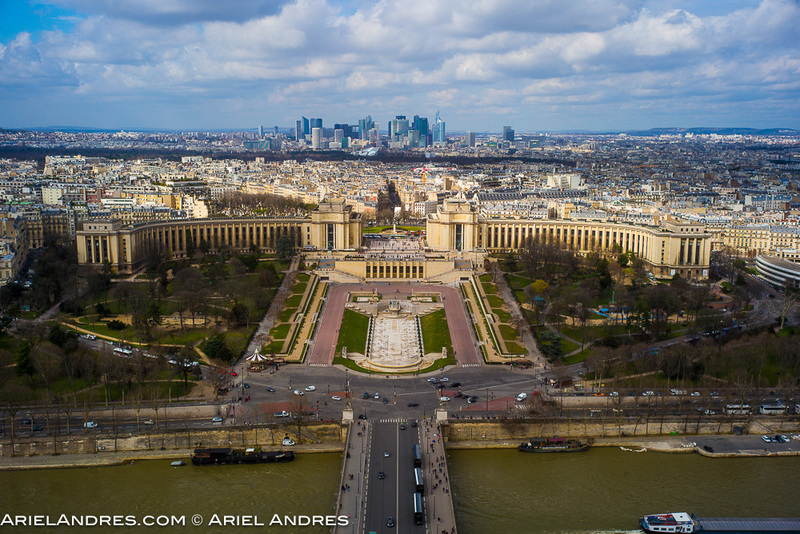 Champ de Mars as seen from the top level of La Tour Eiffel. 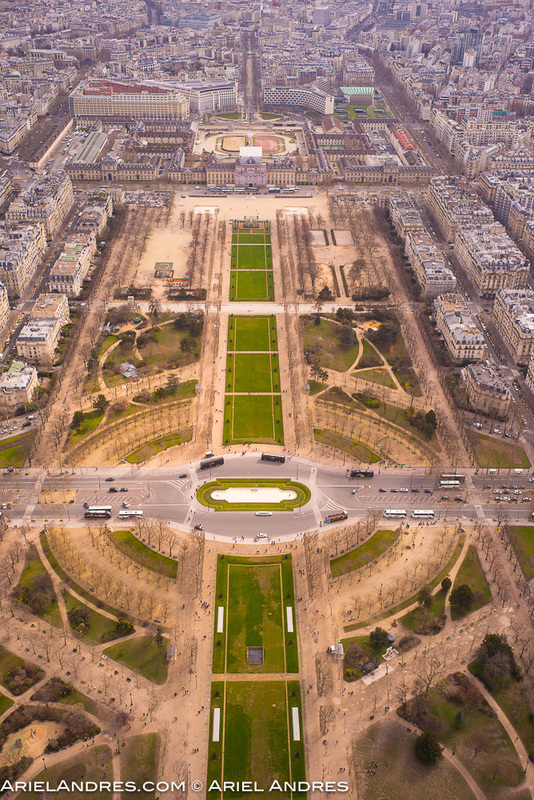 Place du Trocadéro seen from La Tour Eiffel. 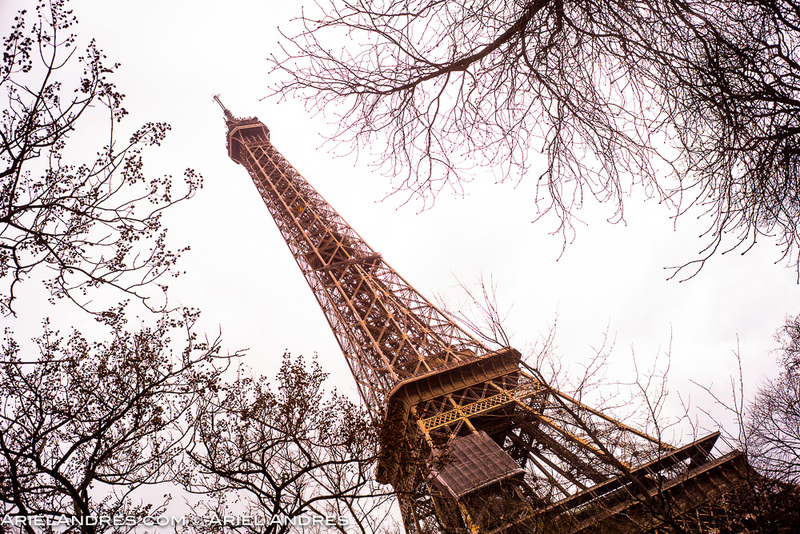 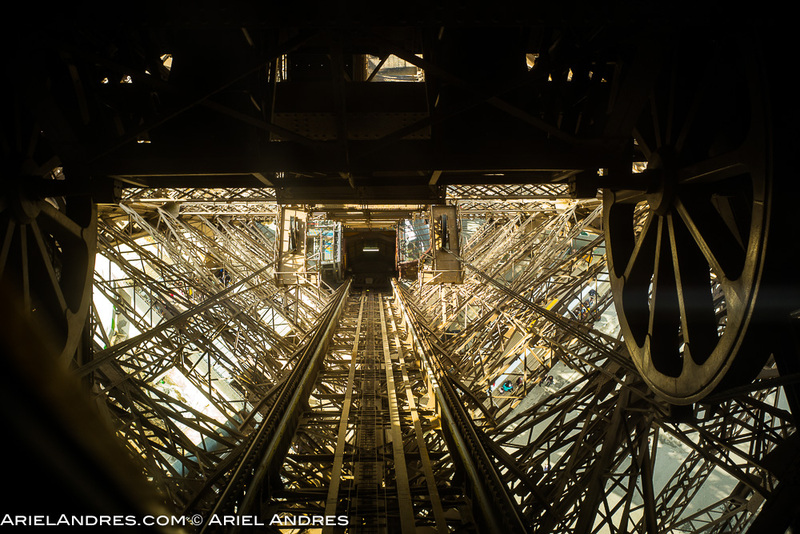 A view of the tracks as the elevator descends in La Tour Eiffel.